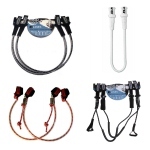 Generic Fixed Windsurfing Harness Line. Comes in pair. Quick release straps.